Can this one pill prevent Alzheimer's even if you’re genetically predisposed? Is there a simple pill you can take that will not only reduce your chance of getting Alzheimer's disease and other forms of dementia, but also improve your cognitive flexibility? A new study says yes. And for many of us, it's especially good news because we have already been taking that pill for years. First of all, you might wonder what we mean by cognitive flexibility. Cognitive flexibility refers to the ability to efficiently switch between tasks. Or to put it in a more common term, it's the ability to multitask. That ability decreases as we get older. 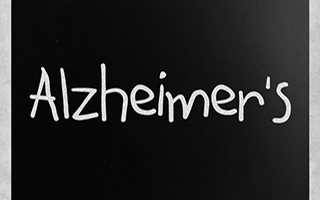 And decreased cognitive flexibility is among the very first signs of Alzheimer's. The new study focused on 40 cognitively healthy men and women between the ages of 65 and 75 who are carriers of a gene variant called APOE e4. People who have the APOE e4 gene are more likely to get Alzheimer's than those who don't have it. The researchers first tested the subjects for their cognitive flexibility. Then they took images of their brains using MRIs so they could determine their brain volumes. And lastly, they measured their blood levels of the fatty acids EPA (eicosapentaenoic acid) and DHA (docosahexaenoic acid). As most of you already know, EPA and DHA are the omega-3 fats specifically found in fish oils. The results of the experiment were sobering to say the least. The levels of cognitive flexibility were directly related to the levels of EPA and DHA in the blood. The higher the EPA and DHA levels, the more cognitive flexibility each of the men and women had. But that's not all. Our brains shrink as we get older. This is especially true of those who are at risk of dementia. The researchers discovered that the patients with the higher levels of EPA and DHA also had less shrinkage and more brain volume than those with lower levels. So if you are among the many folks out there who want to do whatever it takes to maintain your brain function as you get older, the answer may be simpler than you think. And you may already be doing it! I'm talking about taking omega-3 oil supplements. If you aren't already taking them on a regular basis, I suggest you start now. The supplement I recommend is the one I designed. It's called Complete Daily Oils. Complete Daily Oils is the most unique omega-3 oil supplement on the market. It combines the benefits of parent omega-3 oils along with EPA, DHA, rice bran oil, and major antioxidants to keep these oils fresh and free from oxidation. I take two every day. Zamroziewicz MK, Paul EJ, et al. Anterior cingulate cortex mediates the relationship between O3PUFAs and executive functions in APOE e4 carriers. Front Aging Neurosci. 2015 May 21;7:87.